This past week, the city mourned in unexpected numbers and fell in love with an Angeleno who had a deep blue heart. The City of Angels does have real heroes and hopefully more will be found while earthbound. 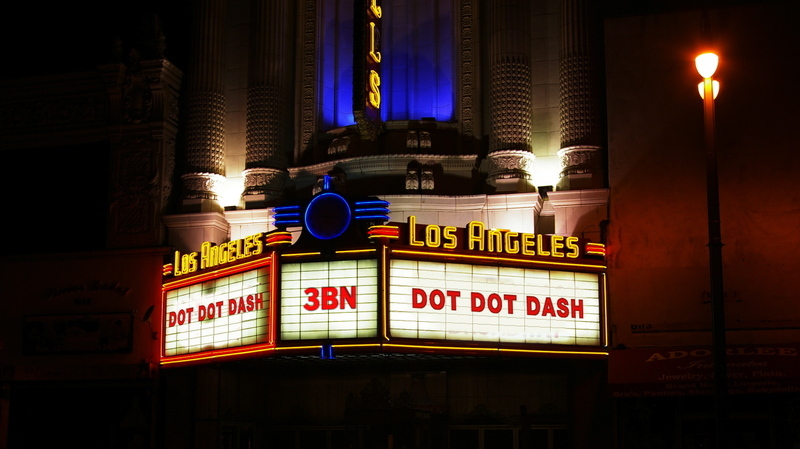 Now the city moves forward, and so does DotDotDash. It's after the jump. SINGAPORE, WARSAW, ATHENS, BERUIT, AND NOW GILVILLE: Comme des Garçons' first U.S. guerrilla store had the hype, but not the clothes, according to the Times. 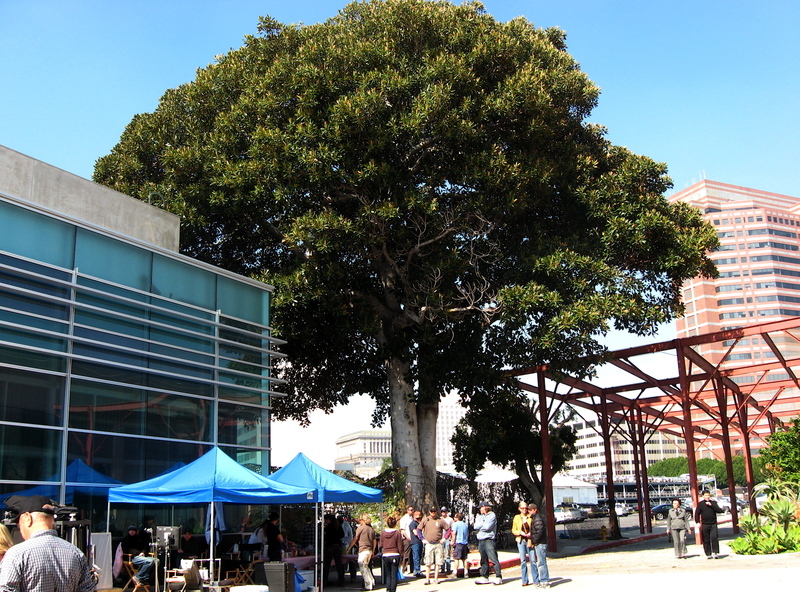 Inventory was stuck in U.S. Customs at the Port of Los Angeles before it could open a new shop in a "room with 30-foot-high ceilings in a 100-year-old former bank building on 4th Street,” . .–– The torn and frayed wear enters the U.S. via Downtown, and the LAT adds the interior is designed by Tak Kato to be "Very anti-Westside." That's the right aesthetic for Downtown. 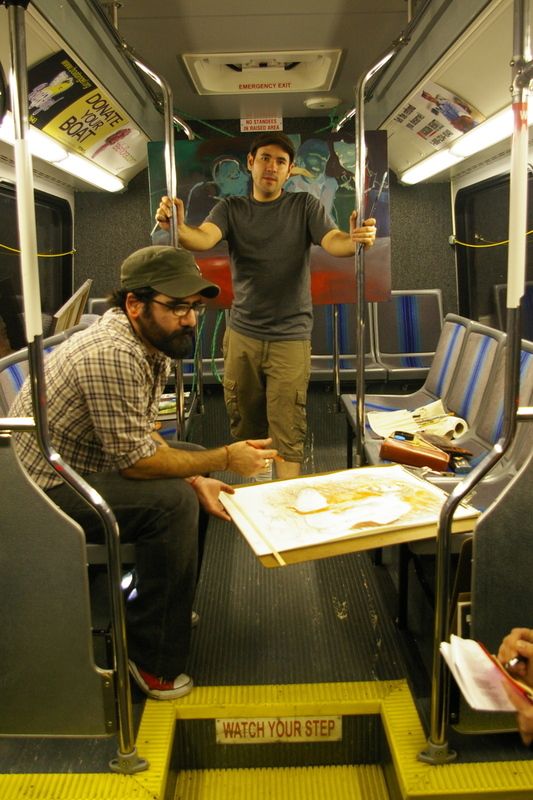 Quick Ride: There was a good addition on the Downtown Art Walk. 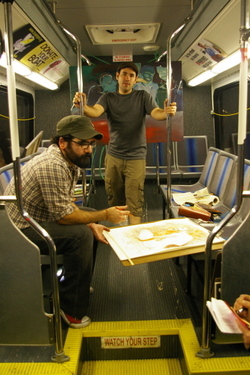 Two painters on the bus that circles gallery row. Call it the DASH art movement . . It's About Time: Sha in LA hits Art Walk and her headline is great; "I heART L.A." New Blogger: Even though he's blogging outside of Downtown, he is coming to us via the LAT–– so here is my nomination for the official captain of the 3bn, (aka the Third Bloggiest Neighborhood.) . . –– I wonder if The Captain has any information to share about his friend Bruce Lee, and the martial arts studio that Lee once ran in Chinatown. PREVIOUSLY: Over at blogdowntown, I introduced you to one of El Pueblo’s Curator who shared part of her personal story. Also Previously: The protest to stop any further use of the font known as Trajan for film and television key art, aka movie posters, grows. . –– I am guilty as well, having used the typeface just last year for a key Aart project . . –– Best Use Of the Type Known as Trajan Goes To . . . The Academy of Motion Picture Arts and Sciences for their official 2008 Oscar® Poster. Weighing in from the Eastside is the other Oscar: Boxer Oscar De La Hoya is calling his May 3rd bout a “fight for the fans” –– and you wonder if the Boyle Heights Sears Building purchase price of $70 Mil is another inspiration . . –– Nonetheless, call it the Battle for Boyle, A Peer for Sears. LAT reports it's in the final stages of negotiations and the final fight will be in Los Angeles at the Home Depot Center. . –– Let's call it Home Boy Depot Center for the day. Speaking of Key Art. Movie posters are mostly famous faces floating in space–– what I dub the Mount Rushmore look . . –– In many ways, marketers are trying to match an iconic style that began with illustrated film posters like "Blazing Saddles," "E.T. : The Extra-Terrestrial," and "Young Frankenstein" . . –– The artist was John Alvin, who passed away in NY on February 6th at the age of 56. It’s a L.A. 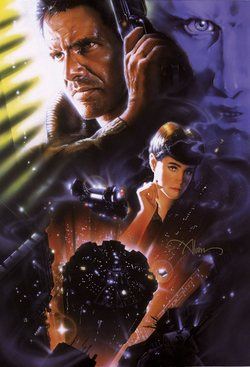 Downtown blog shout-out because Alvin designed the original and the 25th Anniversary poster art for “Bladerunner” . . –– His design goal was to illustrate movie posters that "created the promise of a great experience."